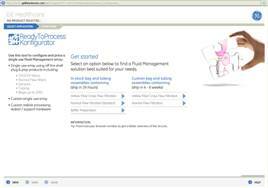 GE Healthcare’s on-line ReadyToProcess Konfigurator is a product selection and quotation tool that enables quick and easy selection and order of standard off-the-shelf, as well as custom designed, ReadyCircuit assemblies. ReadyToProcess equipment provides ready-to-use tools for all process stages in the manufacture of biopharmaceuticals, including cell culture and fermentation, chromatography, and filtration. Customers can design their fluid management circuits and systems in minutes by entering the parameters of their process, from which the Konfigurator will generate the preferred design. The Konfigurator’s rapid and convenient output includes Piping and Instrumentation Diagram (P&ID) drawings and a Bill of Materials (BOM) to enable product ordering. The self-designed ReadyCircuit assemblies can include normal flow and cross flow filtration capabilities, sensor technology and can be designed to suit up to 200L liquid volumes. The Konfigurator removes labour intensive manual design, helps in selecting and ordering the right single-use equipment, and provides related budgetary quotations. 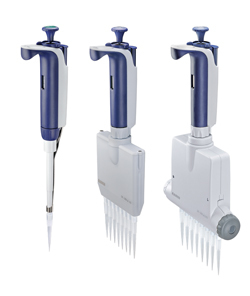 The new and improved Pipet-Lite XLS family of pipettes is available in Single-Channel, 8 and 12 channel models plus Adjustable Spacer Multichannel Pipettes. Lighter springs, low-drag seals and RAININ’s patented Magnetic Assist technology gives you a plunger that is smooth and accurate, yet requires less force than ever for ultimate ease of use and ergonomic safety. For smoother rapid volume adjustment, even when wearing gloves, RAININ has improved the design of the snag-proof volume setting. Once you have selected a volume, the new easy-to-use lock mechanism prevents accidental volume drift, ensuring consistent delivery of results. The Pipet-Lite XLS is the world’s first pipette to be equipped with an RFID tag. This unique feature makes tracking of pipette inventory, calibration and maintenance easy and efficient and helps ensure compliance in regulatory controlled labs. Biochrom Ltd announces further functionality in its microplate readers that now enable users of Abcam’s popular ELISA assays to download pre-programmed method definitions. Instead of loading methods manually, users can automatically pre-program the microplate reader with plate setup, standard curve, and analysis software for the Abcam ELISA assays. This saves time and helps reduce the chance of errors. Abcam’s enzyme immunoassays are for research use for the detection of cytokines, cytokine receptors, CD markers, adhesion molecules, apoptosis markers, growth factors and hormones and other varieties of target within an ever expanding range. The method definitions are designed for use on the Biochrom Asys Expert Plus and the Biochrom Anthos MultiRead 400 microplate readers. 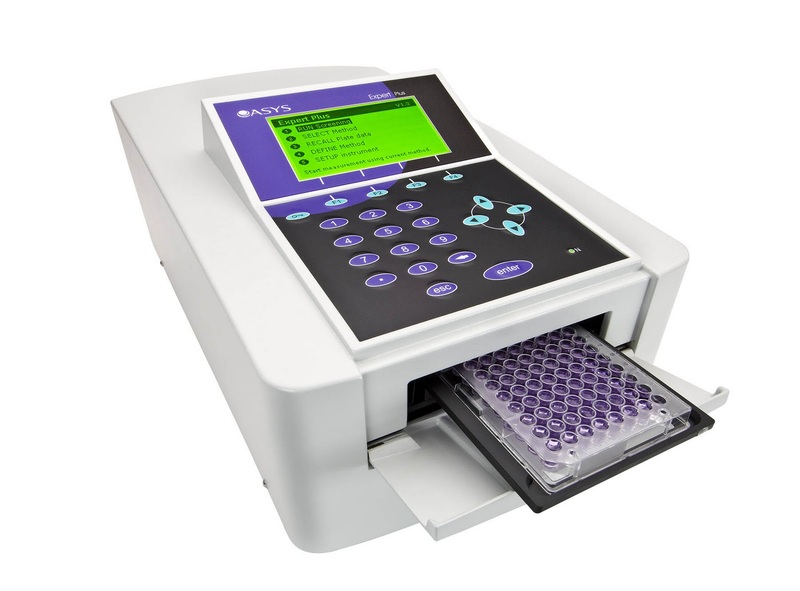 These rapid multi-channel instruments have on-board measurement and data analysis software and are ideal for labs requiring simple, rapid reading of microplates. Users can download the methods from www.biochrom.co.uk/user_download. Scientists from the University of Leeds have made a fundamental step in the search for therapies for amyloid-related diseases such as Alzheimer’s, Parkinson’s and diabetes mellitus. By pin-pointing the reaction that kick-starts the formation of amyloid fibres, scientists can now seek to further understand how these fibrils develop and cause disease. Piezo systems specialist PI introduces a new, more affordable series of Fast Piezo Focusing devices at the 2011 BIOS (Biomedical Optics) meeting, the world’s largest and most prestigious international biomedical optics and imaging conference, held in conjunction with SPIE’s Photonics West. The new PIFOC system packages are designed to improve results in fast focusing & lens positioning as well as in deconvolution/3D imaging, and to reduce costs at the same time. * Complete System with Fast Digital Controller & Software. * Choice of Travel Ranges: 100 µm, 250µm, 400 µm. * Sub-nm Resolution, Ideal for Fast Autofocus Applications. * Choice of Position Feedback Sensors: Piezoresistive (lower cost); Capacitive (higher precision). The PIFOC piezo objective scanner system packages consist of closed-loop piezomechanic objective positioners and custom-tuned compact ditigal servo controller/driver units. This combination provides higher performance at reduced costs. The integrated, frictionless and high-stiffness piezo flexure drive ensures fast response and short settling times, as well as exceptional guiding accuracy. The settling time of less than 10 ms increases throughput and allows for rapid Z-stack acquisition. The digital controller provides several advantages compared to the conventional analog controllers of the fast focussing systems currently available: higher linearity, improved settling performance, quick adaptation to changing motion requirements and access to advanced automation features. The included software facilitates system setup and allows switching of different sets of parameters on-the-fly. For the user this means extracting the maximum performance from the piezo focusing mechanism all the time, no matter what size objective is used or whether aggressive long-travel stepping or smooth nanometer size dithering motion is needed. Since jumpers and trim pots no longer have to be accessed to make changes, system integration becomes much more straightforward. System setup with the included user-interface software is fast and easy; interfacing to the customers' software is facilitated with the included LabVIEW drivers and DLLs. Drivers for leading image acquisition software packages such as MetaMorph and µManager are available. Thermo Fisher Scientific Inc has announced a new, comprehensive and searchable compendium entitled "LC-MS Applications for Food, Beverage and Water Testing." The compendium designed as a knowledge transfer tool, provides customers with access to the wealth of application expertise developed by Thermo Fisher. Containing a variety of testing methods and technical applications for environmental and food testing laboratories, the free digital compendium is available free of charge at www.thermoscientific.com/lcmsfoodnotes. 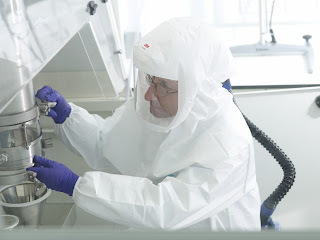 Thermo Fisher's workflows comprised of automated sample preparation, instrumentation and data management products, enable lab professionals to perform the right analysis using the best technique when responding to environmental and food safety challenges. The new compendium shares Thermo Fisher's knowledge about the analysis of contaminants such as pharmaceutical and personal care products, drug residues, natural compounds and pesticides. The comprehensive compendium of LC/MS methods and applications is easily searchable by compound class, matrix or product. "Our environmental and food safety solutions including our leading mass spectrometry systems are tailored to the unique requirements of residue laboratories and we want to share this expertise with all our customers," said Dipankar Ghosh, PhD, strategic marketing manager for environmental and food safety solutions at Thermo Fisher Scientific. "We designed the LC/MS compendium specifically for environmental and food testing laboratories to help them improve and simplify their operations." Aureus Pharma, a leading provider of knowledge management solutions to accelerate research and development in the life sciences industry, has announced a change of name to Aureus Sciences, and the launch of a new, comprehensive application web portal to bring easier, faster and better access to its wide-range of advanced drug discovery tools and knowledge. Agilent Technologies Inc today introduced the Agilent SureSelect XT Mouse All Exon Kit, the first commercial system for target enrichment of a model organism exome, to streamline next-generation sequencing experiments. Agilent collaborated with Dr Yoichi Gondo of Japan’s RIKEN Institute to develop the mouse exome target enrichment product, based on the lab’s good results using Agilent’s SureSelect Human All Exon kit. 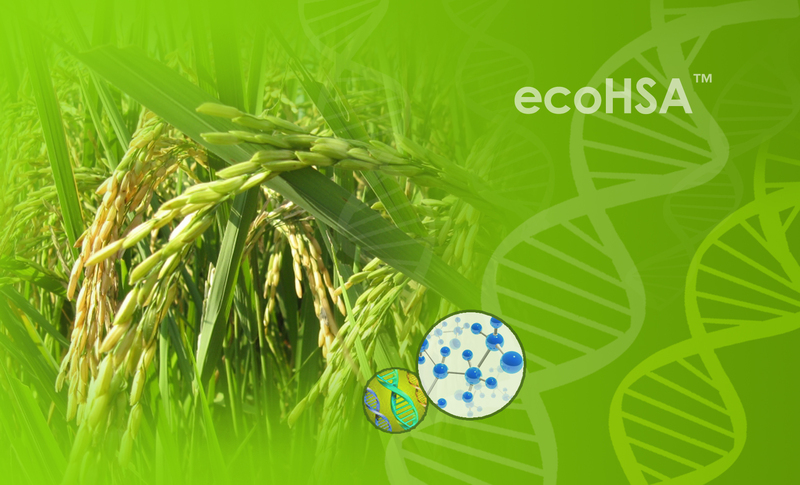 AMSBIO has announced the launch of ecoHSA - an animal-free preparation of the human albumin gene produced in the seeds of Asian Rice (Oryza sativa). Commercial human albumin proteins extracted from plasma have multiple and invaluable uses in cell culture work. However, existing and new regulations now discourage the use of animal components, even in early research studies. In additional human or animal derived albumin proteins, even those produced in vitro using insect or mammalian cultures, suffer from variable performance due to low yields and/or production complexities. Now the need for a defined, consistent and animal-free HSA is more important than ever. 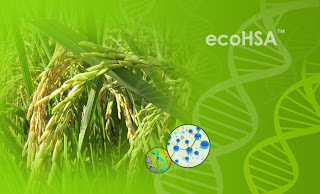 Building on recent advances in seed protein production technologies to turn the rice endosperm into an optimal system for expressing recombinant proteins, ecoHSA offers significant advantages over traditional albumins. ecoHSA™eliminates risk of animal or viral infectious agents in cell cultures and helps comply with FDA recommendations for animal-free components. Extensively tested in multiple functional studies, ecoHSA has been proven to be similar in structure and biochemical function to native HSA in all tests performed. Furthermore rigorous standards and procedures in the manufacturing process of ecoHSA ensure minimal batch-to-batch variability. In tests - ecoHSA has been shown to improve the health of cells by acting as a fatty acid carrier and hydrophobic moiety scavenger. In addition ecoHSA extends the life of cell cultures by scavenging toxins as well as stabilizing membrane proteins and maintaining oncotic pressure thereby providing better cultures and results. 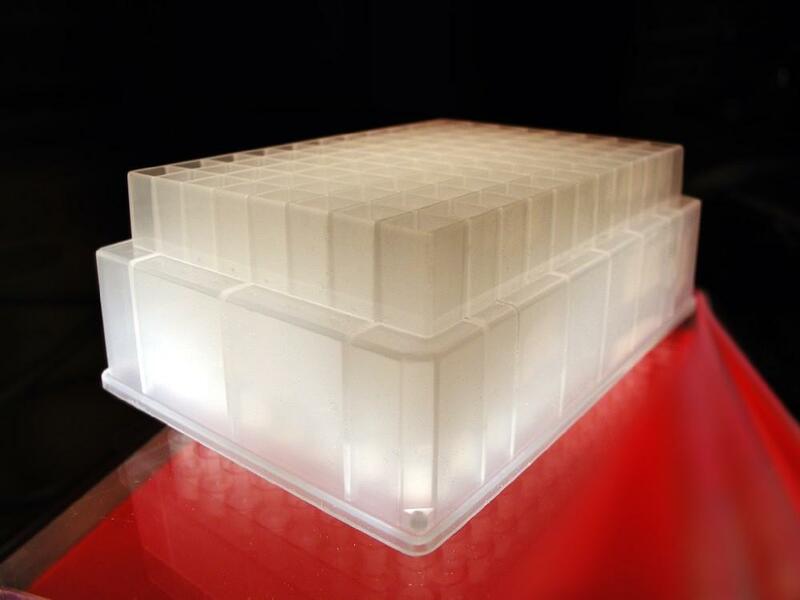 The p3 microplate from Porvair Sciences Ltd. eliminates the mess and complex sample preparation (no centrifuging, no vortexing) traditionally associated with protein precipitation techniques. The use of protein precipitation as a method for sample preparation is widely used within the pharmaceutical industry. Consequently the need to streamline the technique, to save technician time, has spurned a growing number of commercial multi-well filtration microplates optimised for protein precipitation sample preparation. The report details and illustrates the results from the series of comparative experiments carried out in the independent evaluation. The evaluation comments how advantageously the p3 eliminated "wetting out" and leaking of sample through the plate without resorting to complex valve systems. Further it comments that the novel treated frit matrix used in the p3 maintains high flow rates enabling quick sample preparation times. The report also notes that the p3 plate did not have any major adverse non-specific binding problems. These benefits plus the added advantage of cost effectiveness has meant that the pharmaceutical company that undertook the evaluation is now using the p3 plates on a daily basis. AiCuris today announced that Dr Marie-Paule Richard has assumed the responsibility of Chief Medical Officer at AiCuris, Germany. Dr Richard has over 24 years of experience in the pharmaceutical industry in leading global clinical development projects, supervising clinical-regulatory strategies, clinical operations, pharmacovigilance, medical affairs, and managing multicultural and cross-functional teams and departments. She has been responsible for the global development of a large number of anti-infectives and vaccines that she led successfully to international registrations. ICON plc, a global provider of outsourced development services to the pharmaceutical, biotechnology and medical device industries, today announced the appointment of Dr Anthony Priestley as Medical Director at ICON’s Clinical Pharmacology Unit in Manchester, UK. Renishaw plc, a supplier of Raman spectroscopy and metrology systems, has appointed Nitech SRL as its agent in Romania for the sale and support of its Raman spectroscopy systems. Nitech SRL has been serving the Romanian market since 2001 and has offices in Iasi, Cluj-Napoca, and Timisoara, as well as its head office in Bucharest. Recently Nitech set up a dedicated group, ‘Nanoteam’, to focus on applications and products with specific applications in nanotechnology. 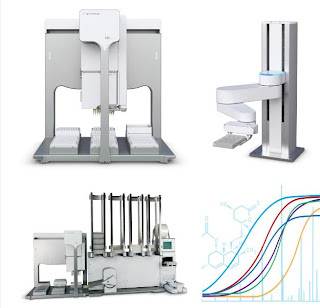 Agilent Automation Solutions has selected Lab Automation 2011 to launch two new products and a suite of applications advances to help make science easy. Visitors to Booth 329 will have the chance to see and discuss the new Bravo liquid handling platform for Protein Purification. The Agilent Bravo for protein purification leverages proprietary AssayMAP microchromatography technology to enable highly parallel and precise antibody purification and titer operations. Also on public display for the first time will be the new BenchBot Robot - a small footprint, highly flexible robot for benchtop assay automation. As well as showcasing their new products and applications advances - Agilent Automation Solutions will also host two industry workshops during the conference (January 29th-February 2nd 2011). The first workshop has been designed to allow attendees to learn about microchromatography and hear how the new Bravo platform is enabling high throughput bioprocess development. 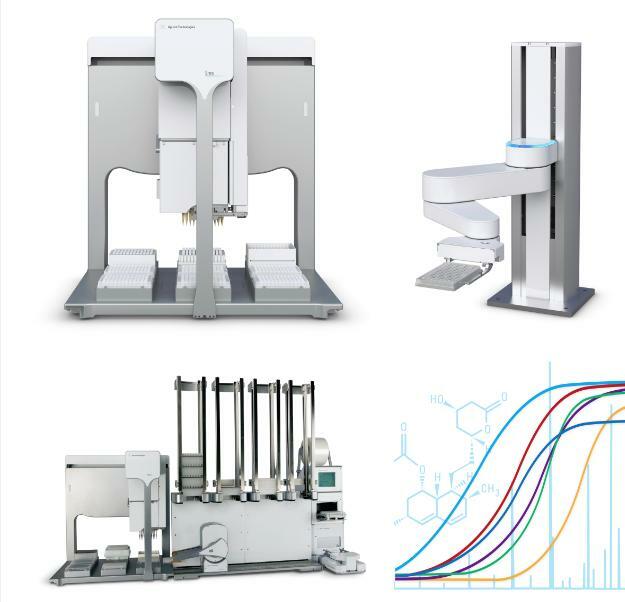 Attendees to this workshop will also be able to learn how the Agilent BenchBot robot is revolutionizing the set up and use of small to medium sized assay development workstations, offering unmatched flexibility, throughput, and ease of use. At the second workshop - Agilent will present an automated solution for Next Generation sequencing library preparation and target enrichment that provides high quality and high throughput sample processing capability combined with maximum walk away time. Flame sterilization is a routine task carried out in many microbiological, clinical and life science laboratories. 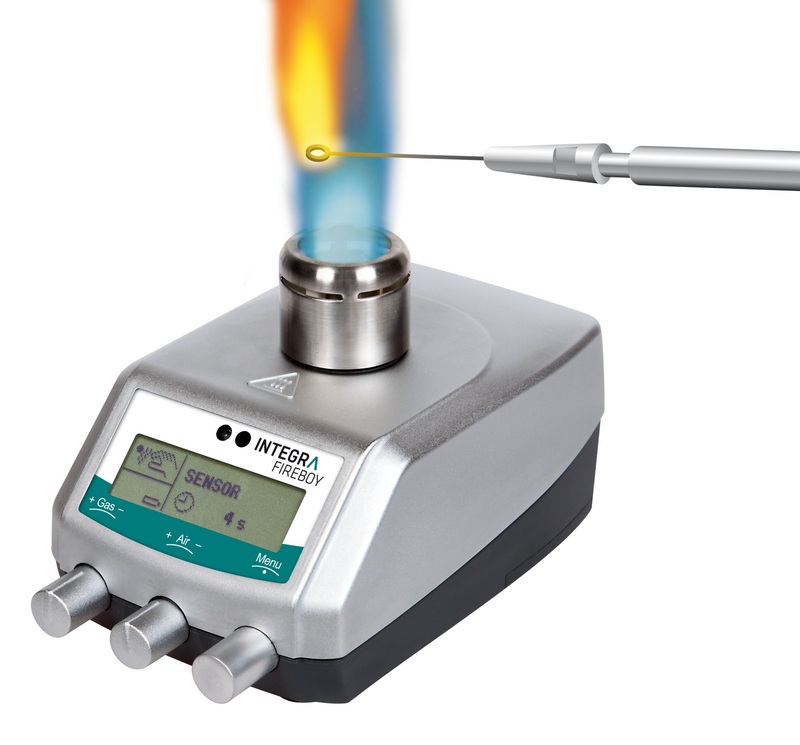 A new white paper from INTEGRA describes the security features of modern safety Bunsen burners in relation to the inherent dangers of flame sterilization using alcohol burners, gas cookers or a traditional Bunsen burner connected to a gas distribution system. Safety Bunsen Burners were developed to ensure high safety by eliminating the risk of gas leaking and explosion inherent in using alcohol burners, gas cookers and traditional Bunsen burners. With this new generation of Safety Bunsen Burner the gas ignition is both immediate and safe as no lighter or matches are needed. Unlike traditional burners, the gas supply flows only if a gas flame is detected by the flame monitor. Advanced temperature protection, user-defined maximum burning time and alarm display features serve to protect both the operator and operating environment. Operating from a wide range of gas cartridges - the battery powered Safety Bunsen Burner was developed to be used where ever you wish, eliminating the need for connection to an installed gas distribution system. With no interfering cables or tubes the 'hands-free' the DVGW certified FIREBOY Safety Bunsen Burner from INTEGRA has been proven in thousands of installations worldwide to be intrinsically safe and extremely easy-to-use. A copy of this new white paper may be downloaded from www.integra-biosciences.com/pdf/sterilisation/Modern_Bunsen_burners.pdf. Thermo Fisher Scientific Inc. has announced it has developed a faster screening method for pesticides, enabling labs to simultaneously screen and confirm the presence of more than 1000 pesticides, at low levels, using a single injection. Other commonly used techniques require multiple injections in order to comply with increasingly stringent regulations. The new method, which uses the Thermo Scientific Quantum GC, can acquire 3,000 timed selective reaction monitoring (SRM) transitions per run, increasing sample throughput while ensuring accuracy in a matrix. The method, detailed in an application note entitled "Rapid Analysis of 303 Pesticide Residues in Green Bean Using Triple Quadrupole GC-MS/MS," is available via www.thermoscientific.com/303. Pesticides used to prevent, destroy and control pests on food crops often leave residues on agricultural products that pose risks to consumers. Effects range from short-term health problems such as headaches and dizziness to long-term damage to the nervous system and, in some cases, cancer. BioTek Instruments will attend LabAutomation 2011 as a Platinum Sponsor on January 27 - February 2, 2011 in Palm Springs, California. In addition to a full complement of microplate technologies at booth #151, the company will host a workshop and various poster presentations. BioTek's newest products featured at the booth will be the patent-pending Synergy H1 Hybrid Multi-Mode Microplate Reader and the MultiFlo Microplate Dispenser. The Synergy H1 quadruple-grating monochromator-based reader can be upgraded at any time to a true, hybrid reader with the addition of filter-based optics for endless flexibility in current and future assay choice. This cost-efficient reader is also compatible with BioTek's Take3 Multi-Volume Plate for multi-volume, multi-sample measurements in 2 µL microspots, BioCells or standard cuvettes. Synergy H1 is controlled by powerful Gen5 Data Analysis Software. The all-in-one MultiFlo Microplate Dispenser conveniently dispenses up to four independent and parallel reagents from 1 µL to 3 mL into plate densities from 6- to 1536-wells and microtubes. The incorporation of peristaltic and microprocessor-controlled syringe pumps allows virtually any dispensing combination, and the dispenser may be added to robotic systems for increased efficiency. MultiFlo is controlled by the instrument keypad for Liquid Handling Control (LHC) Software. Events organiser UBM Live has announced the largest ever attendance for its Indian tradeshows, CPhI India for pharmaceutical ingredients and intermediates, and co-located events, P-MEC for equipment and machinery; ICSE for contract services and packaging; and BioPh for the biopharma sector.The events took place from December 1-3, 2010 at the Bombay Exhibition Centre in Mumbai and saw an increase in visitor numbers, with a total of 26,436, including 1,433 international visitors. Booths for the 800-plus exhibitors sold out in record time and delivered exhibitors from 18 countries. With such high exhibitor levels, visitors were given a great platform for networking with companies which span all facets of the fine chemicals and pharmaceutical machinery industries. The international attendance reflects the growing significance of India in the Pharma industry globally, and India’s presence and importance is only expected to grow. A few of the highlights of the events included the Pharma Summit which had over 330 people in attendance. Labtronics Inc, a leader in laboratory automation has announced the release of Nexxis EM (Environmental Monitoring), a software system that monitors environmental systems and makes the data available to the whole lab. ELN, LIMS and all of your analytical procedures can now monitor and be controlled by the environmental conditions in your facilities. Nexxis EM connects directly to any instrument to monitor conditions such as temperature, humidity or any type of specific chemical. Collected information is processed and made available to all of your informatics systems. For example, your ELN can use the real time environmental data to control the completion of analytical work. The data collected from instruments is standardized and stored in an environmental database which provides access to any system that requires the information. Standardizing the data makes it easy for other software supplications to use the data. The system can be set up to automatically check target values and take action when conditions reach a critical point. For example, alarms can be turned on and urgent messages can be sent to mobile devices. Environmental data is also available in real time through the Nexxis iLAB Portal. The iLAB Portal is a web based tool that allows you to view and analyze the data from any location by simply using a web based browser. Robert Pavlis, President of Labtronics commented: "The Nexxis Environmental Monitoring System provides the lab with a single application to monitor all of their various devices. It is then easy to use the data to manage processes in the lab so that samples are always stored at the correct temperatures, analytical procedures are performed correctly and dangerous chemical environments are controlled. With the right tool, environmental monitoring is easy to set up in the lab." LabLogic’s new Scan-RAM radio-TLC scanner detector for PET and SPECT nuclear medicine imaging has been designed so that the detector and collimator are moved rather than the bed itself, so no additional operational space is required. Scan time is completely user-definable and generally takes between one and two minutes, depending on the level of radioactivity. The radio-TLC strips are supported by TLC support beds that accommodate different sizes, lowering the user’s finger exposure and preventing contamination of the Scan-RAM itself. The beds are removable and easy to clean. Scan-RAM can be configured with either one or two detectors connected to the system at any one time. The two-detector configuration is particularly useful for labs that need a radio-TLC scanner and a radio-HPLC detector in the same system but have limited space. Scientists at the University of Michigan Comprehensive Cancer Center have identified a potential new way of attacking breast cancer stem cells, the small number of cells in a tumor that fuel its growth and spread. Researchers found that breast cancer stem cells are regulated by a type of cell derived from bone marrow, called mesenchymal stem cells. These cells are drawn from the bone marrow to the cancer and create a “niche” for the cancer stem cells, allowing them to replicate. “The importance of this is that we may be able to attack breast cancer stem cells indirectly by blocking these signals from the niche,” says study author Max S Wicha, MD, Distinguished Professor of Oncology and director of the University of Michigan Comprehensive Cancer Center. A review of research evidence produced by researchers from the Peninsula Technology Assessment Group, part of the Peninsula College of Medicine and Dentistry, has played a pivotal role in the decision by the National Institute for Health and Clinical Excellence (NICE) to extend the availability of donepezil, galantamine, rivastigmine and memantine for Alzheimer’s disease announced today. A previous appraisal by NICE of these drugs in 2004 approved the use of donepezil, galantamine and rivastigmine for people with moderate Alzheimer’s disease, while the use of memantine was restricted to clinical trials. As part of its ongoing review of its previous decisions, NICE requested a review of new evidence which was carried out by PenTAG, which is independent of NICE. The evidence showed that little had changed and that all the drugs had some effect on delaying symptom progression in Alzheimer’s. PenTAG also noted the uncertainty surrounding the estimates used in the previous economic model and hence its results. A new economic model developed by PenTAG and which was calibrated differently to the model used in the previous assessment, showed the drugs to be cost-effective, although some uncertainty remains. As a consequence, the report from PenTAG was a key piece of evidence that has informed the decision by NICE’s appraisal committee to extend the availability of donepezil, galantamine and rivastigmine to people with mild Alzheimer’s disease, and memantine to those with severe forms of the disease. The Peninsula Medical School is a joint entity of the University of Exeter, the University of Plymouth and the NHS in the South West of England, and a partner of the Combined Universities in Cornwall. Molecular Profiles announces the expansion of its service offering to include new manufacturing capabilities, enabling the company to handle larger projects for pharmaceutical clients from preformulation through to Phase IIa. This new manufacturing capability will initially focus on the company's expert area of difficult-to-formulate molecules and enable it to offer a greater range of services to its customers. Molecular Profiles will be discussing its manufacturing capabilities at Informex 2011, taking place February 7-10, 2011 in Charlotte, North Carolina, USA. Molecular Profiles has provided specialised analytical and formulation services to major pharmaceutical companies for over a decade. The new manufacturing facilities have been built within the existing site at Nottingham, UK, and with this latest service addition, Molecular Profiles now provides a complete range of services including formulation development, preformulation, polymorph screening, salt selection, analytical services and clinical trial manufacturing up to phase IIa . This decreases the need to perform a technical transfer of work to other companies and therefore lessens the risk to the customer's research. The Model 440 Elemental Analyzer from Exeter Analytical Inc is capable of precisely analyzing the widest range of sample types - quickly, easily and reliably. 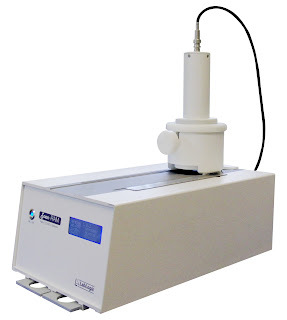 The Model 440 offers a wide linear range and is capable of routinely analyzing almost any sample type including organic compounds, pharmaceuticals, petrochemicals, polymers, refractory, environmental or natural materials (soil, plants or insects). Its horizontal furnace design, allowing for removal of residues between runs, prevents cross contamination and allows for a greater number of samples between combustion column changes. 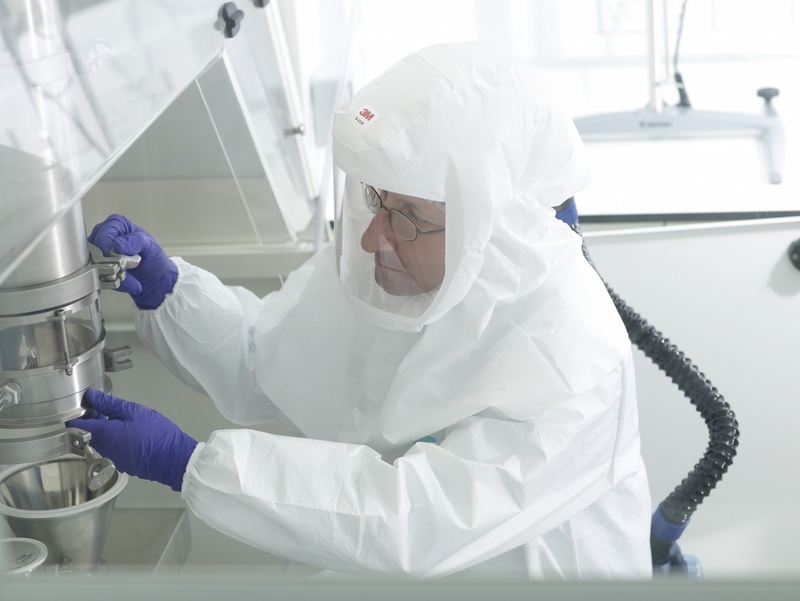 Faron Pharmaceuticals Ltd and Rentschler Biotechnologie GmbH announced today that they have signed a manufacturing and supply agreement for the Faron product FP-1201 that is also known as Traumakine. The active pharmaceutical ingredient of the FP-1201 is recombinant human interferon beta-1a (IFN-beta 1a) that was first produced by Rentschler already in the late 1980s. According to the agreement Rentschler will become the sole global manufacturer of IFN-beta 1a for Faron and also manufacture Faron’s proprietary bulk drug product. Traumakine is formulated so that it is stable at room temperature and readily available for critical care doctors at intensive treatment units. Traumakine is meant to prevent vascular leakage in patients with acute lung injuries (ALI) and its more severe form ARDS. This prevention is critical to sustain respiratory function in ALI/ARDS patients. Financial details of the agreement were not disclosed. The new liquid stable Haptoglobin kit from Randox provides a highly sensitive and specific method for the quantitative determination of Haptoglobin in human serum. The method is fully automated and suitable for use on the RX series of bench top clinical analysers including the RX daytona and RX imola. Haptoglobin is an acute phase protein made primarily in the liver. Its main function is to bind free haemoglobin and remove it from circulation preventing damage to the kidneys and loss of iron following hemolysis. Haptoglobin measurements are mainly used to diagnose haemolytic anaemia and to distinguish it from other types of anaemia. In cases of haemolytic anaemia, Haptoglobin levels in the blood decrease significantly however low levels may also indicate red blood cell destruction due to sickle cell anaemia or Thalassemia. As an acute phase reactant, Haptoglobin levels in the blood are significantly increased in response to infection, inflammation, burns, surgery and trauma, however, Haptoglobin is not generally used to diagnose or monitor these conditions. Eurofins MWG Operon, an international market leader and expert for DNA sequencing, has signed a 2-year contract to supply DNA sequencing services to the Research Councils UK Shared Services Ltd (RCUK SSC Ltd). The contract may be extended to 3 years, and builds on a 5-year relationship developed as a preferred supplier of synthetic DNA and RNA oligonucleotides to the Research Councils. RCUK SSC Ltd has been set up by the seven Research Councils of the UK (RCUK) to provide centralised services to the Research Councils and their institutes in human resources (HR), finance, procurement, Information Technology, Information Systems and grants processing. The shared service approach reduces costs whilst raising operational efficiency for the Councils. Instantaneously capture a full UV/Vis spectrum (220–1000 nm) in low volume samples, microplates and cuvettes with the new SPECTROstar Nano. Ultra-fast full spectrum analysis, multimode shaking, incubation, kinetic readings, well scanning, automated path length correction, a gas vent and robot compatibility are only a few of the outstanding features that BMG LABTECH's SPECTROstar Nano has to offer. BMG LABTECH is also offering two workshops at this meeting. For more information and pre-registration, visit www.bmglabtech.com/labauto. Domain Therapeutics today announced that an exclusive development and licensing agreement with Merck Serono, a division of Merck KGaA, Darmstadt, Germany, was signed to develop metabotropic glutamate receptor 4 (mGluR4) Positive Allosteric Modulator (PAM) drugs targeting Parkinson’s disease and other neurodegenerative diseases. Domain Therapeutics will contribute optimized compounds that have been developed from its proprietary chemical series. Under the terms of the agreement, the company will receive EUR 2 million in upfront payment and research funding, and is eligible for up to EUR 132 million in milestones for the first two products, as well as undisclosed royalties.